Key-Point Productions Ltd began in 2001 with a shared dream/vision amongst its founders - to create and to provide one-stop services for our clients. Since 2001, we have undertaken many challenging projects locally; in Mainland China; and even extending to overseas countries. 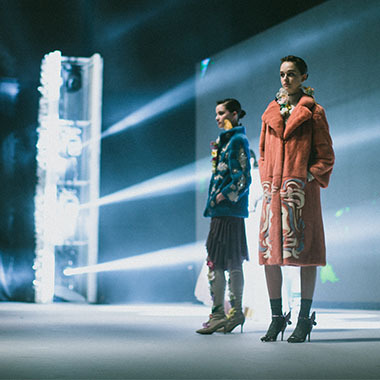 These projects included fashion show productions and stage construction; audio/lighting design & rental; exhibition venue design & construction; event/party organization; and visual video concept & productions, etc. We pride ourselves on our creativity; our conceptual approach extending to intensive event management; well organised stage management as well as advance technical support relating to hard-ware aspects. We have also worked closely with our contractors, media companies, printers, photographers, artists to ease our clients with complicated logistics; and most importantly to achieve the ultimate goal of our clients. With the precious experience we have gained and connections we have built, we will head into the future with confidence and strive to offer the best for our clients. with extensive strength in project and logistics coordination. Enter your email address for weekly updates on all Key-Point news. © 2017 Key-Point Production Ltd. All Rights Reserved.